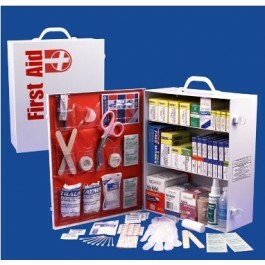 This 3 Shelf First Aid Cabinet was designed by leaders in the Emergency Preparedness Industry. This kit contains 1,044 pieces that are packaged neatly into a white steel case that can be mounted on a wall for easy access. 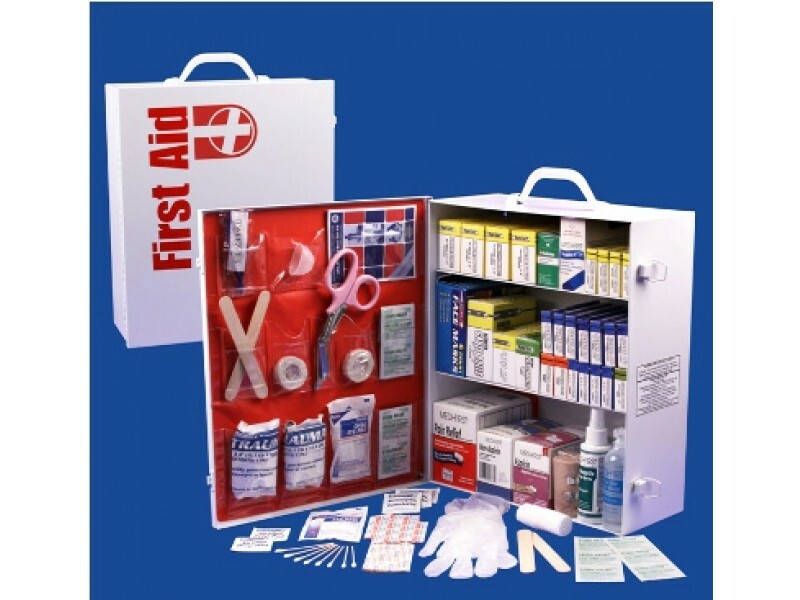 This kit is filled with a large variety of high-quality first aid products. Great for small businesses or large homes. Dimensions (length x width x height): 14" x 12" x 6"